Stranger Things Season 2 Features Cast of The Goonies, Aliens | Nerd Much? Stranger Things Season 2 has been on a lot of our minds lately. After the incredible season first aired on Netflix, we have been craving that second season. Now it is no secret that Stranger Things was heavily influenced by movies of the 80s like Aliens or The Goonies. That’s why what we are about to share with you is so important. 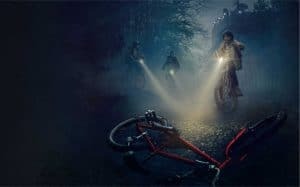 According to Entertainment Weekly, Stranger Things Season 2 will feature three new actors. Two of these actors come from the aforementioned movies. Even this little tidbit of knowledge makes us hyped for Stranger Things Season 2. Will you be watching it next year? You better be.